The Kwantlen Public Interest Research Group’s Annual General Meeting was held on March 13 in the Cedar building’s conference room. The purpose of the AGM was to give student members a chance to vote on motions proposed by the PIRG, as well as vote in the new director, Zafreen Jaffer. Jaffer will be serving her first full-year term starting on April 1, 2017, and ending on March 31, 2018. She says that one of her primary goals in that time will be to get KPIRG on-campus office space. During a few moments throughout the AGM—such as the presentation of KPIRG’s financial report and budget—the meeting had to be paused so that the mandatory quorum of 15 present members could be met before the AGM could continue. “There was some difficulty getting all the people to stay because apparently a lot [of students] were going to class, so a lot of people voted, but they couldn’t stay,” says KPIRG’s Director of Community Affairs Russel Liu. KPIRG’s projected 2017 budget disclosed an income subtotal of $259,285 and an expenses subtotal of $281,084, which results in a $22,929 deficit. $250,200 of their finances come from membership fees collected from KPU students at a rate of roughly 80 cents per credit. 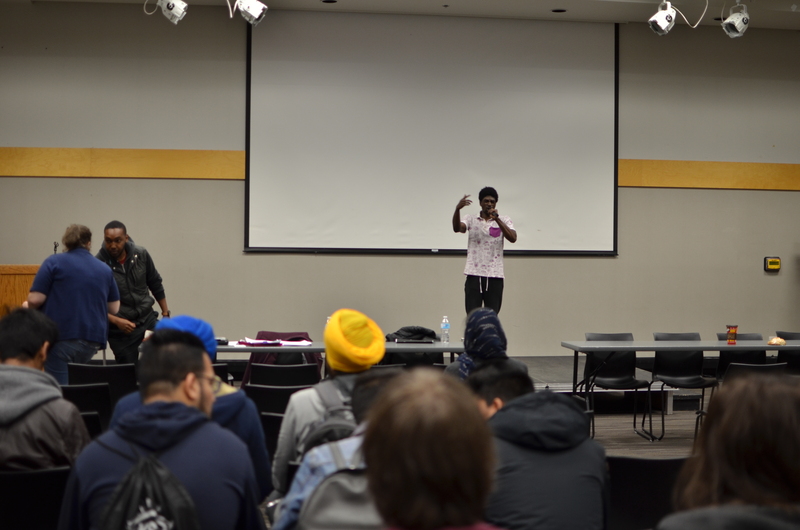 MC and slam poet Dana I.D Matthews performed on stage before and after the meeting, and there were free samosas available for all of the members in attendance.